The Hague Conference on Private International Law is pleased to announce that the Call for Tender for the development and the maintenance of the iSupport case management and secure communication system was launched today. 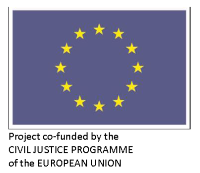 The Contract Notice for the procurement of the iSupport system has been sent for publication on the European Union online Official Journal. The iSupport case management will be used by Central Authorities designated under the 2007 Hague Child Support Convention and the 2009 EU Maintenance Regulation to process applications and requests for the purpose of facilitating cross-border maintenance recovery. All relevant documentation pertaining to the iSupport project is available on the iSupport section of the Hague Conference website. The call for tender, including the Deliverables Document which provides a comprehensive description of the iSupport functional and technical requirements, is available on the aforementioned iSupport section. The deadline for reception of tenders is 1 June 2015 at noon, The Hague time.